The Crossroads of Ideas lecture series, now in its second year, takes audiences on a journey of intellectual enlightenment. The series, held in the Discovery Building at UW-Madison, was launched as a way to gather the community to learn about thought-provoking topics. Hosted by the Discovery Building tenants—the Morgridge Institute for Research, the Wisconsin Institute for Discovery and the Wisconsin Alumni Research Foundation (WARF)—“Crossroads” refers to both the building’s central location on campus and the intersection of the dozens of different disciplines that work and study there. Laura Heisler, director of programming at the Morgridge Institute and WARF, says that the series covers issues that society is grappling with, both science-related and otherwise. Kathy Cramer, a political science professor at UW-Madison and previous Crossroads speaker, says the series shows a public university at its best. Crossroads has a powerful lineup of fall speakers. The first lecture, now available online, focused on the meaning of oligarchy and how it can emerge in a democratic system. The next event takes place October 18 and focuses on language and immigration issues. Speaker Joseph Salmons, UW-Madison professor of German and co-founder of the Center for the Study of Upper Midwestern Culture, will explore common misconceptions and how faculty and students at UW-Madison are working to better understand immigrant language issues in Wisconsin history. 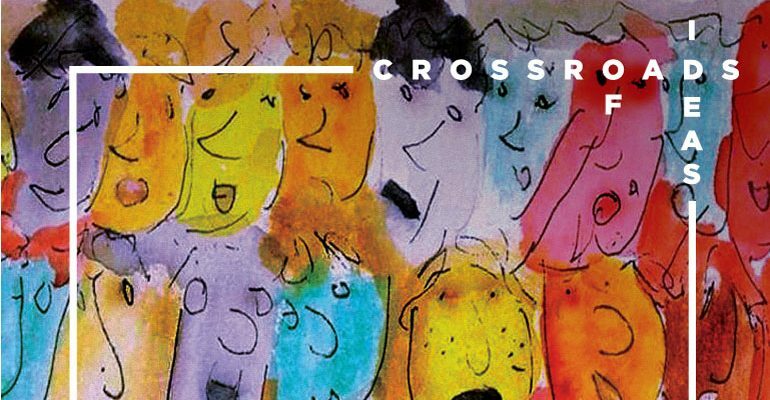 The Crossroads series invites audiences to challenge their own perceptions and engage in dialogue around difficult topics. Future lectures will focus on access to the media and democracy, immigration policy, and data in the electoral campaign. All forums are held in the evening at the Discovery Building, 330 N. Orchard St., Madison, WI 53715. Can’t get enough of the Crossroads of Ideas lectures? Look no further than “FORWARD? The Wisconsin Idea, Past and Present” a lecture series curated by the department of sociology at the University of Wisconsin-Madison. For more information, visit www.wiscidea.com.